LED (light emitting diode) down-lights are the most advanced type of low energy down-light available; they outperform halogen and CFL (compact fluorescent lamps) in every way. 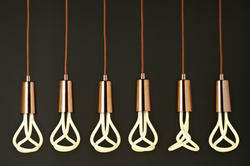 The main advantages of using LED down-lights (or LED spotlights) are that they are long lasting and energy efficient. Providing energy savings of 80-90% compared to halogen and CFL. We manufacture wide variety of power saving light bulbs, energy saving light bulbs, 20W-3U CFL and other power saving bulbs. 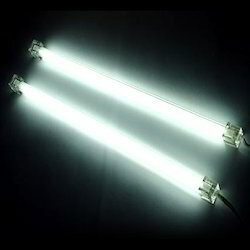 Our clients can avail from us Energy Saving Tube lights, which are widely known for low energy consumption, efficient and durable performance. These tubes render high in performance if compared to the conventional tubes. These are procured from trusted vendors who use latest technology and high grade raw material for the production. Newer lighting technologies are dramatically changing the way the world is lit up. Sakshi Power Tech Pvt. Ltd.
A compact fluorescent lamp (CFL), also known as a compact fluorescent light or energy saving light is a type of fluorescent lamp. Low energy lighting solutions, they activate automatically the second they detect movement.